Walnuts are one of the oldest tree foods known to man. The Romans called it “Jupiter’s royal acorn” and it was reserved for royalty. 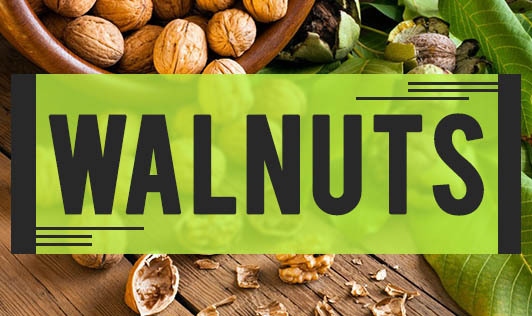 History has it that these nuts came from ancient Persia, and so, they are now commonly called the “Persian Walnut.” There are three major types of walnuts – the English/Persian walnut that we commonly use, the Black walnut that is native to Eastern North America, and the white walnuts. Walnuts are a nutrient dense group of nuts rich in proteins and essential fatty acids. In recent times, walnuts have received great popularity due to their incredible health benefits that many other foods lack! It’s an ideal healthy snack for almost everybody out there when taken in the right quantities. For those on the lookout of a way to get heart-healthy, this is definitely a good choice! Having a small serving of a couple of nuts daily, will help you reap the benefits of this wonder nut. Here are some facts about walnuts that may impress you! Walnuts have antioxidant and anti-inflammatory properties that protects one from cardiovascular diseases, metabolic syndrome, and type II Diabetes. Walnuts not only taste great, but are also one of the best sources of the heart-healthy monounsaturated fats and an excellent source of omega-3 fatty acids. Myth : Don`t eat walnuts, as they are high in fat! Fact: The truth is that, 90 percent of the phenolic compounds, tannins and flavonoids that give walnuts its protective function is in the skin. The skin may be a little bitter to taste, but it is always better to eat it with the skin. Powdered walnuts could be added into your oatmeal porridge or any other breakfast cereal. A sprinkle of walnuts can add flavour to your bowl of salad or fruits. You could add a nutty flavour to your yoghurt along with some fruits. Some of us use them as a base for different gravies and curries.